Spend a minimum of $50^ for a lucky draw chance to win Christmas gifts such as hampers, IT gadgets and household items worth up to $8,000! Spend a minimum of $150* to redeem an exclusive Multifunction Cutter. Spend a minimum of $100* to redeem 500 loyalty points. ^Maximum 5 lucky draw chances per shopper per day, regardless of total amount spent. Winners will be notified via email/phone on 27 Dec 2018. Limited to 1 prize per winner. Winners must produce proof of identity, e.g. NRIC upon prize collection. *Maximum 3 same-day receipts. Limited to first 3,000 shoppers on a first-come first-serve basis. Only 1 redemption per shopper per day, regardless of total amount spent. Redemption must be made on the same day of purchase at the Customer Service Counter located at Level 3 from 10am to 10pm daily. Spend a minimum of $50 in a single receipt to participate. T&C: Limited to first 100 participants per day, on a first-come first-serve and while stocks last basis. 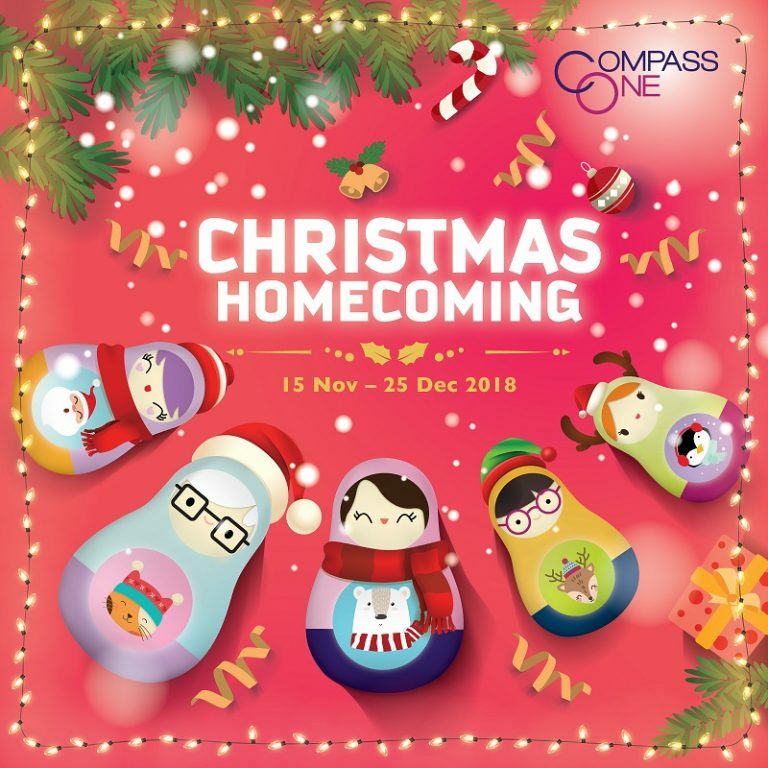 Spend a minimum of $30 in a single receipt to participate in the festive games to win exclusive Compass One premiums or Compass One vouchers. T&C: Limited to 1 redemption per shopper per game per day.